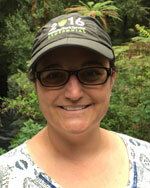 Dr. Myla Aronson is a plant ecologist whose interests focus on the conservation, restoration, and maintenance of biodiversity in human dominated landscapes. 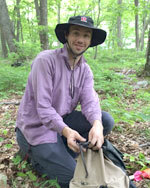 Dr. Aronson's research focuses on the patterns and drivers of biodiversity in urban landscapes, in particular to understand community assembly and biotic homogenization in cities at local, regional, and global scales, as well as invasive species resilience and the ecological function of restored communities. Dr. Aronson has used the results from her research to direct decisions regarding the restoration and management of degraded habitats, such as wetlands and woodlands in New York, New Jersey, Minnesota, and Iowa. Dr. Aronson is a Professor of Ecology and Evolution at Rutgers University, as well as Associate Editor-in-Chief of the journal Ecological Restoration and co-director of UrBioNet: A Global Network for Urban Biodiversity Research and Practice. Max Piana is an urban ecologist and restoration ecologist who works at the interface of science and design. As a PhD student in the Ecology & Evolution program at Rutgers University, Max's research focuses on plant community dynamics in urban ecosystems that range in human impact, as well as the potential design and management management strategies for these urban natural areas. From remnant forest fragments to green infrastructure, he is interested in the ecological function and successional trajectories of these systems, and how we may facilitate and sustain their ecological and social services over time. As land manager at the HMF Center, Max oversees stewardship activities and provides ground support and supervision for all research activities. In addition to work at the HMF Center, Max is a member of the Center for Urban Restoration Ecology and a Center for Resilient Landscapes Fellow. Steven Handel studies the potential to restore native plant communities, adding sustainable ecological services, biodiversity, and amenities to the landscape. He has explored pollination, seed dispersal, population growth, ecological genetics, and most recently, problems of urban and heavily degraded lands. Working with both biologists and landscape designers, he is improving our understanding of restoration protocols and applying this knowledge to public projects and to environmental initiatives. As Director of the HMF Center Dr. Handel has overseen the construction of a deer conservation fence and implementation of multiple long-term research initiatives aimed at tracking plant community responses to land-use and environmental change. 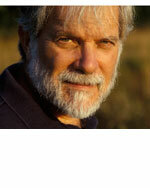 He is currently Distinguished Professor of Ecology and Evolution at Rutgers University. Previously, he was a biology professor and director of the Marsh Botanic Garden at Yale University. He is also Director of the Center for Urban Restoration Ecology, an initiative of Rutgers, dedicated to teaching graduate students and professionals, and conducting research on rebuilding and improving urban native habitats. In 2006, he also was awarded an appointment as Adjunct Professor of Ecology at the Univ. of California, Irvine. He was Visiting Professor of Ecology at Stockholm Univ., Sweden, in 2009, and at Harvard Univ. 's Graduate School of Design in 2012.